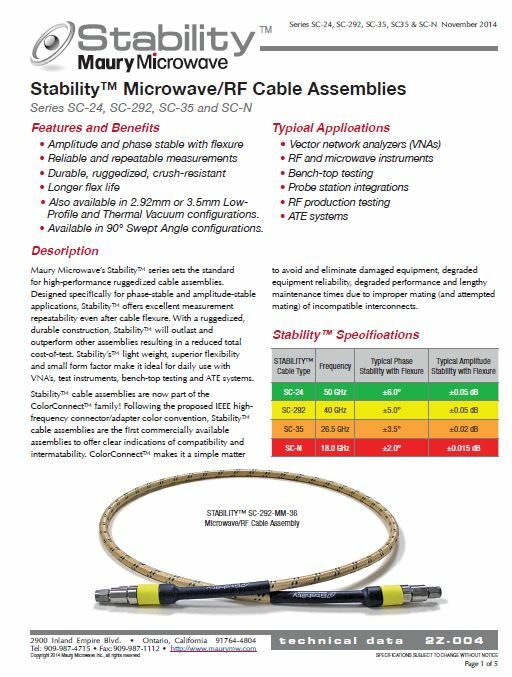 Maury Microwave’s Stability™ series sets the standard for high-performance ruggedized cable assemblies. Designed specifically for phase-stable and amplitude-stable applications, Stability™ offers excellent measurement repeatability even after cable flexure. With a ruggedized, durable construction, Stability™ will outlast and outperform other assemblies resulting in a reduced total cost-of-test. Stability’s™ light weight, superior flexibility and small form factor make it ideal for daily use with VNA’s, test instruments, bench-top testing and ATE systems. Stability™ cable assemblies are now part of the ColorConnect™ family! 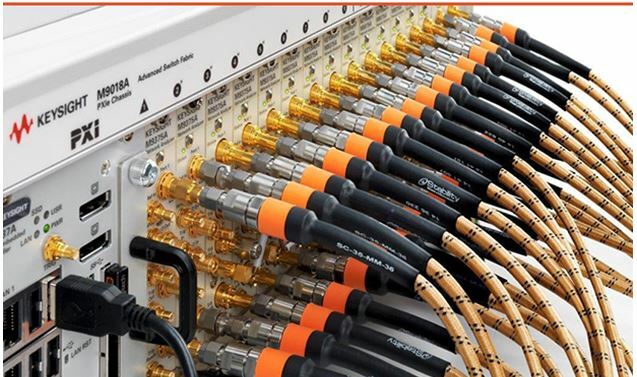 Following the proposed IEEE highfrequency connector/adapter color convention, Stability™ cable assemblies are the first commercially available assemblies to offer clear indications of compatibility and intermatability. ColorConnect™ makes it a simple matter to avoid and eliminate damaged equipment, degraded equipment reliability, degraded performance and lengthy maintenance times due to improper mating (and attempted mating) of incompatible interconnects. Also available in 2.92mm or 3.5mm Low Profile and Thermal Vacuum configurations.